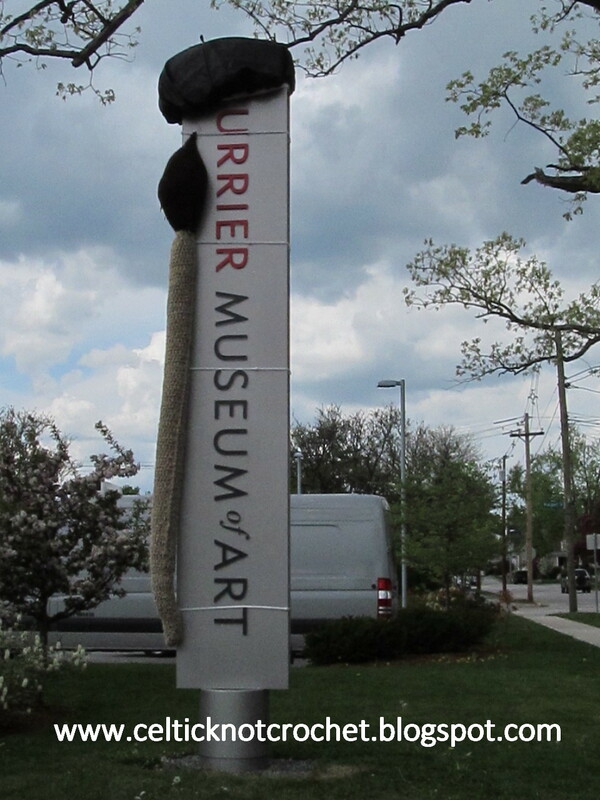 Who says that museums and crochet are just for grandmas? ART FEST. All ages had a great time connecting with art and crochet. It was a pleasure to watch families have a good time together and children searching around the museum courtyard to find our yarn art highlights. 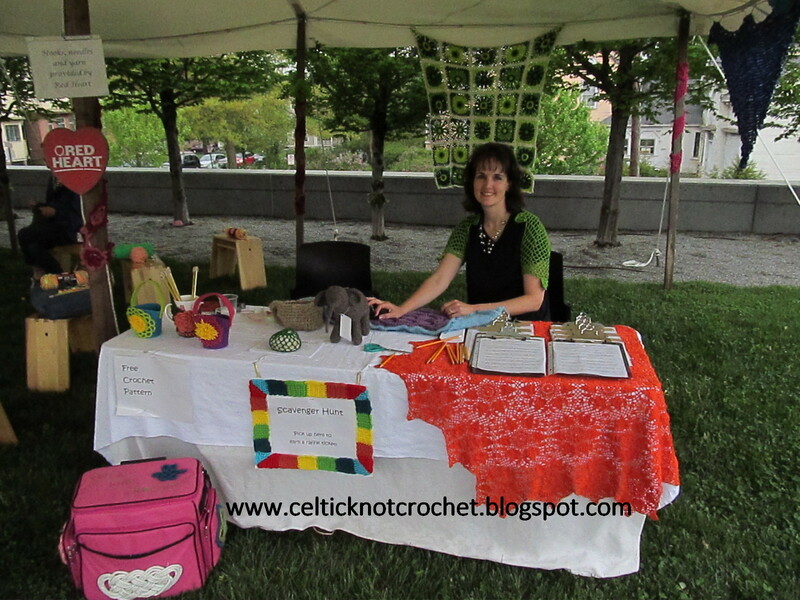 There were artists demonstrating their craft and selling their beautiful creations. Teachers from the Art Center were leading family art-making activities for all ages. Abigail Newbold was on hand to talk about her new exhibit – Crafting Settlement. 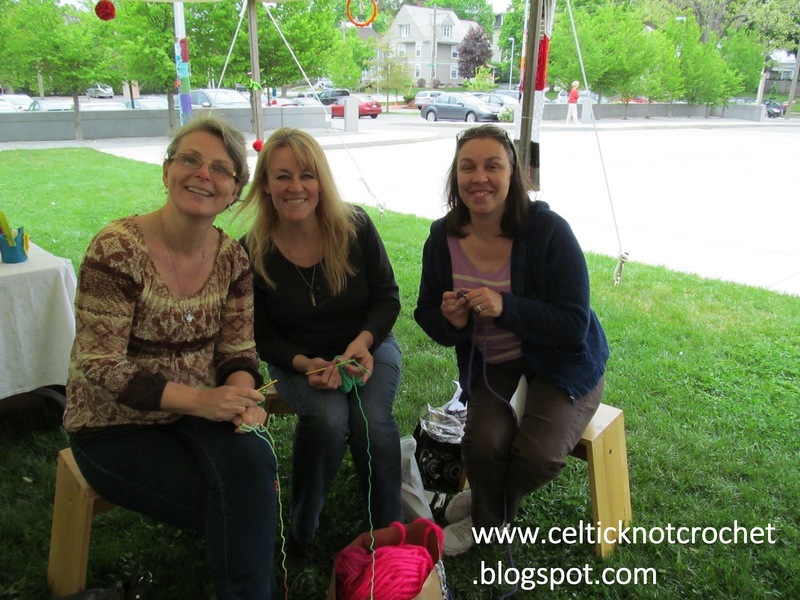 And I was leading a fun Scavenger Hunt throughout the courtyard getting visitors an up-close look at all of the wonderful pieces our NH knitters and crocheters made for our fantastic Yarn Bomb. Here are some children enjoying the Scavenger Hunt. A big THANK YOU goes to the Red Heart yarn company who generously donated knitting needles, crochet hooks and yarn for our “Community Art Tent”. 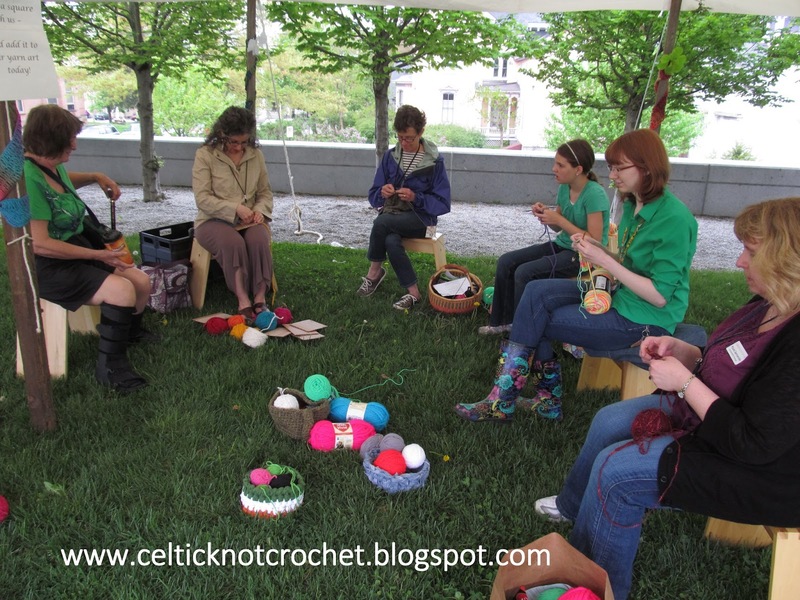 Throughout the weekend we invited guests to sit down with us and crochet or knit for a while. 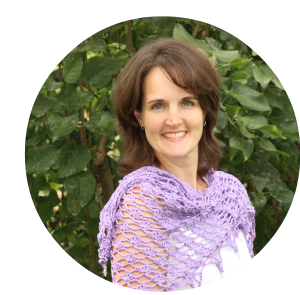 Some learned the basics of crochet by finger crocheting with Red Heart’s Vivid yarn – the bright colors make it perfect for outdoor yarn art and the soft chunkiness of it make it perfect for a beginner. added to our yarn art right near the tent covering a large lamp post. More photos to come of all the designs! BOSTON STRONG and the BOSTON RED SOX !